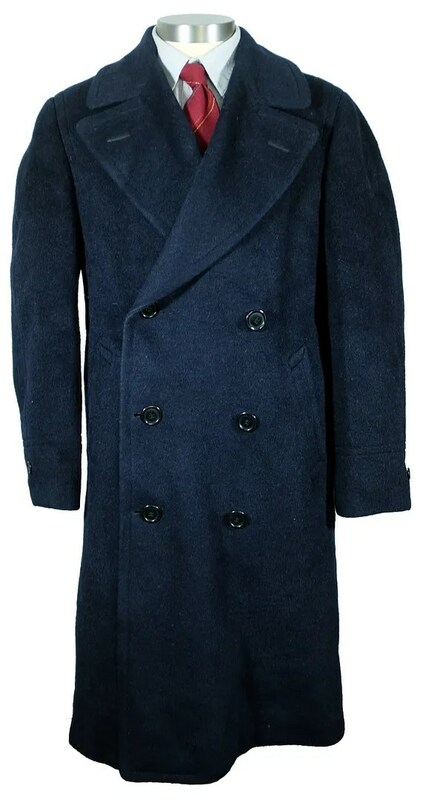 This vintage overcoat was made in the late 1930s and was sold by M.H. 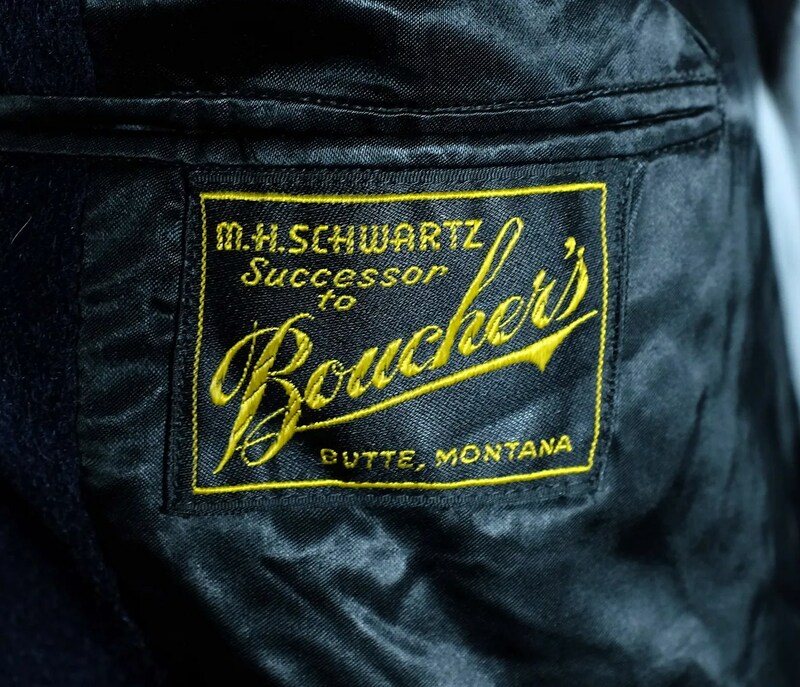 Schwartz, successor to Boucher’s, located in uptown Butte, Montana. M.H. Schwartz took over Boucher’s c. 1939 and used the “successor to” tagline in 1939 and 1940. 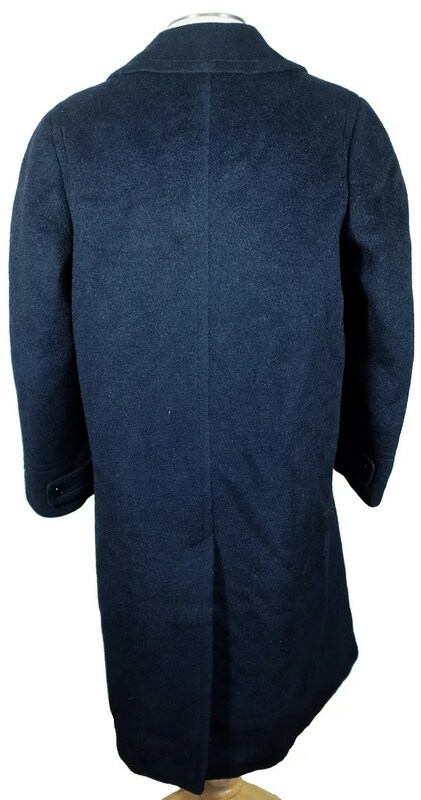 The coat is extremely heavy wool, with a wide double breasted closure, broad lapels and handwarmer pockets. Just the thing for those harsh Montana winters, walking up the hill to and from the mine. 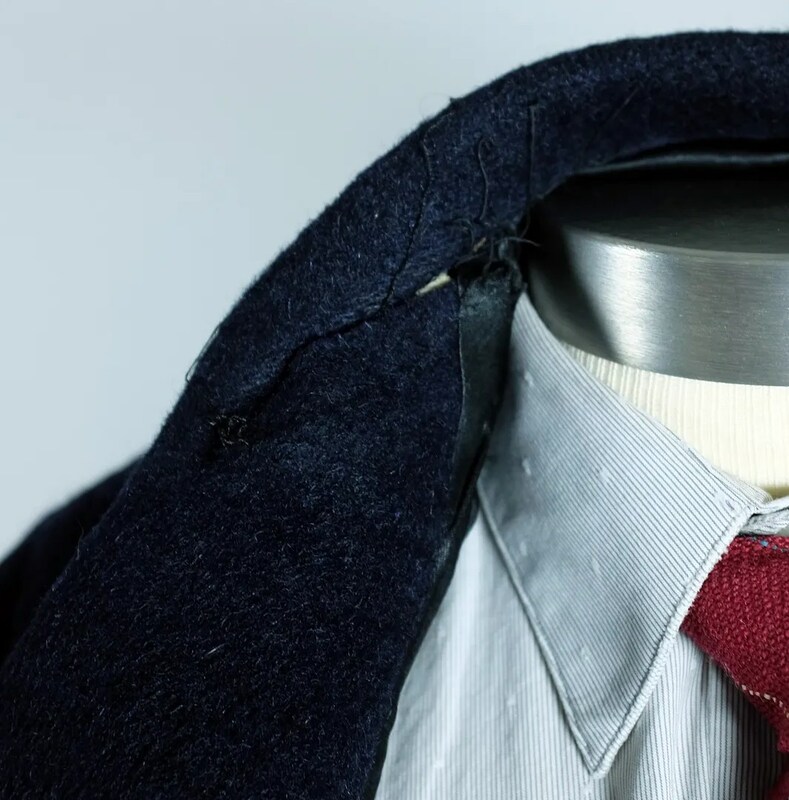 The coat is fully lined and bears an Amalgamated Clothing Workers of America union label. 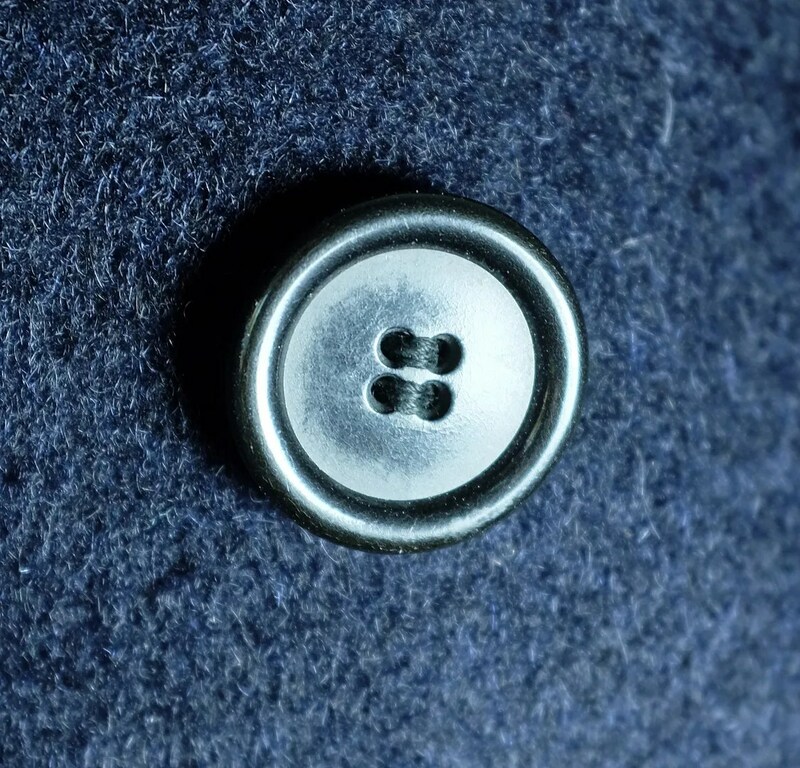 With the way it is stitched into the coat, I can’t tell if it is a 1936 or a 1939 variant. 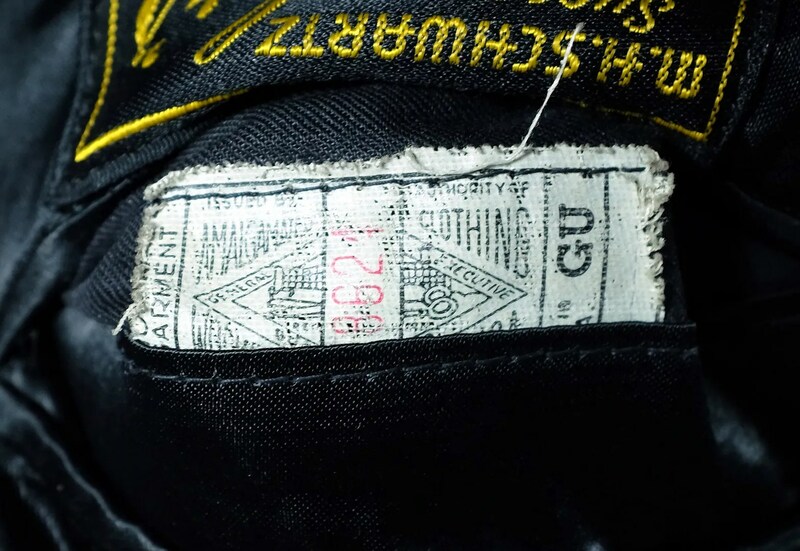 With the c.1939 dating from the retailer’s history, either is possible. 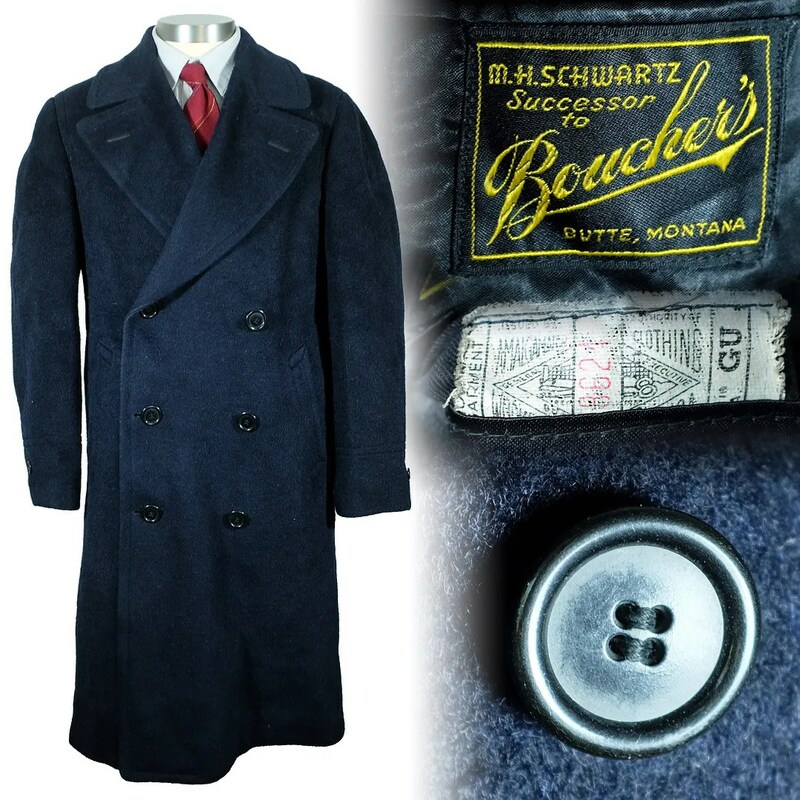 This entry was posted in Coats and tagged 1930s, 1940s, Butte, fashion, mens, mining, Montana, overcoat, vintage, vintage menswear by Spencer Stewart. Bookmark the permalink.